The magnificent nerds over at FanGraphs just published this excellent article about Roy that proves, mathematically or whatever, that opposing donkey batters are, in fact, getting CUTTERED the SO CUTTERED up this season. Around here we already knew that this was the case, but now we finally have indisputable scientific proof, in the form of an acronym-heavy article with adjectives like "other-wordly", "crazy" and "incredible". Yesterday Roy Halladay continued the excellent start to his 2011 season striking out 14 batters, tied for a career best, and allowing a single run over 8.2 innings. Five starts into the season Halladay leads the league in WAR and is second in xFIP and FIP. 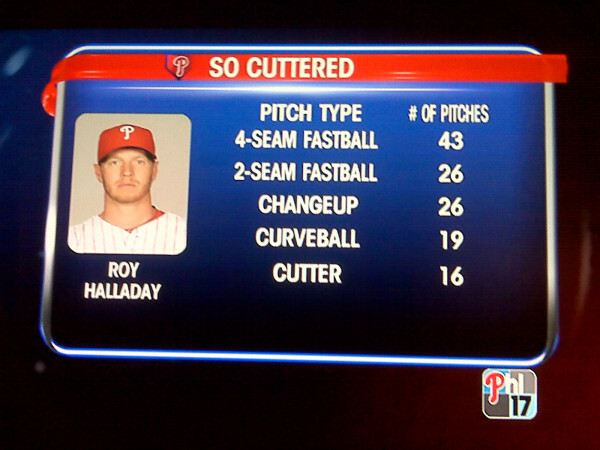 Halladay, thirty-three, is continuing a trend started in 2004 throwing more cutters and fewer two-seam fastballs. Early in the season he is throwing the most cutters (47%) and fewest two-seam fastballs (26%) of his career. So there you have it. So Cuttered as a 10th grade geometry proof. 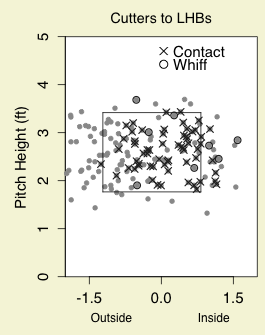 I'm still peeved at these FanGraphs donkeys for failing to implement my now patent pending GROwl methodology, but at least we can agree on Roy's greatness.